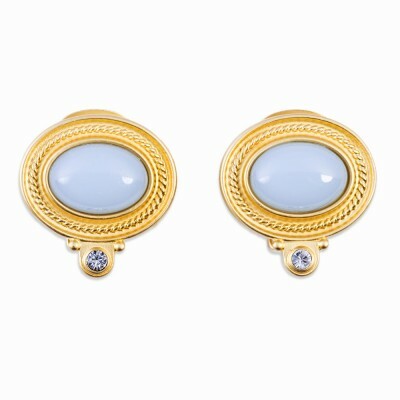 Aqua resin set in oval shaped in brushed gold embellished setting. 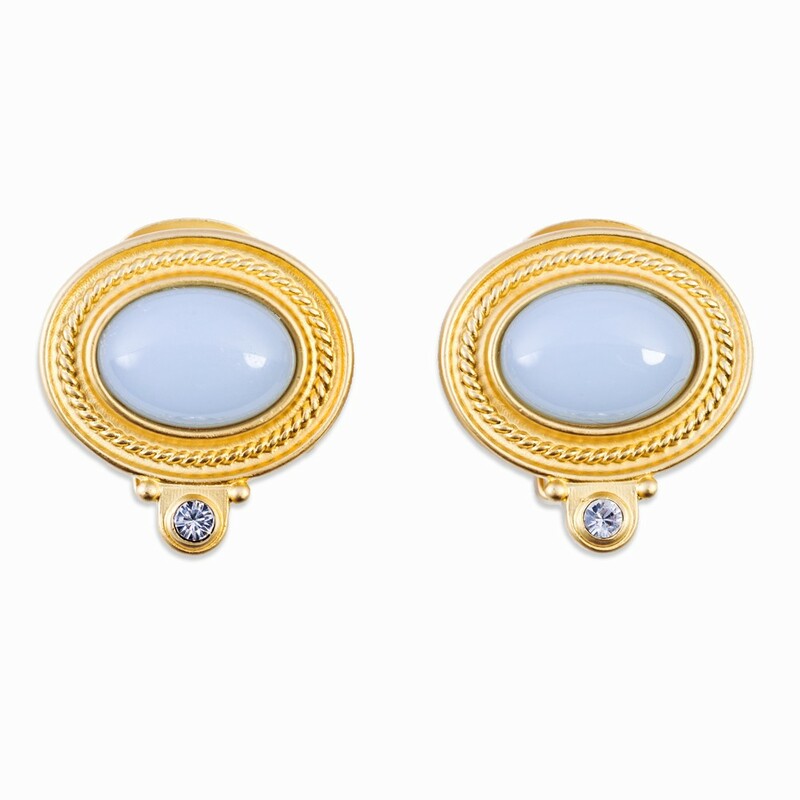 These earrings can be customized by selecting yellow or white gold tone metal and different colored resins and crystals. They are also available as pierced or post. Please call our Palm Beach store at (561) 655-5770 and we will be glad to assist you with your purchase.